The lead finding of the report, which was ordered by Delaware’s governor, John Carney, was prison workers considered communication about policies, operational changes and day-to-day issues to be the top problem at the James T Vaughn Correctional Center in Smyrna. Stressed-out correctional officers told investigators there is a disconnect between shift supervisors and upper management, and confusion and anxiety among inmates who have no certainty about how they will be treated. “These patterns of operation and management have led to a sense of chaos where ‘getting through the day’ becomes the norm rather than actually achieving a purpose,” stated the report, released on Friday. Other findings in the report were that despite a union-negotiated standard work week, many staff routinely worked double shifts of 16 hours to compensate for high turnover in staff and understaffing. A state audit found that that overtime in fiscal year 2016 was nearly $39 million – 38 percent higher than for all other state employees. Correctional staff repeatedly complained about the lack of regular training and the quality of training provided. In addition to excessive overtime, low starting salaries and the lack of any substantial pay increases and promotional opportunities contributed to a high turnover rate. A starting salary in fiscal year 2017 was just over $32,000 and only increasing over $41,000 after two decades of work. There were also staff shortages in the education, medical and legal departments, and as the inmate population grows the demands for services and programs increases. Inmates fared no better. The prison currently houses pre-trial, minimum, medium and maximum security inmates on different tiers. It was originally designed to house maximum security and would limit and control the movement of high-risk inmates. Staff members said they all ran the tiers differently in part because of the lack of updated post orders, and inmates noted the lack of consistency. Another consequence of the long and changing shifts was that inmates had little or no structure and said they were given conflicting information by correctional officers. The prison did not have sufficient education, vocational and substance abuse programs, while those that did exist faced long waiting lists because of overcrowding, even where a program was court-ordered. “Inmates expressed that they were bored and had no incentives to do right or comply with the rules… correctional officers also echoed that inmates do not have sufficient work options… and that idleness was a problem and that they would much rather see inmates working or learning job skills," according to the report. 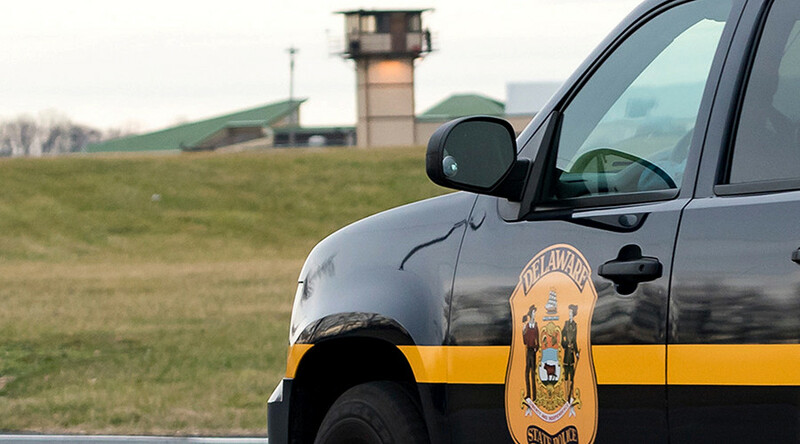 Delaware State Police are still conducting a criminal investigation into the uprising on February 1, during which several inmates held staff hostage, setting off a nearly-15 hour standoff during which correction officer Steven Floyd was injured and later died, with other correctional officers also suffering injuries. The siege ended when tactical teams used a backhoe to breach the building and rescue a female counselor. Two other guards had been released earlier after being tormented and beaten by inmates. The report makes several recommendations, among them requiring the Department of Corrections Commissioner to develop a detailed strategic plan and implementation process for staff to include training, inmate programming and services, a one-day conference to discuss the future of corrections in Delaware, and executive leadership that should build relations with staff and administrators. A final report is scheduled to be issued in August.